Offering education and resources is an important part of our DNA. Our goal for our Circles is to always bring the right learning topics at the right times that support growth in business, leadership and life. For those that are not Circle members, we know it can be hard to find good development opportunities out there. BWC Workshops are a way to meet the needs of members and non-members. We cover topics that women are asking about, select instructors that are experts in their fields and we work to keep the learning experience rich. 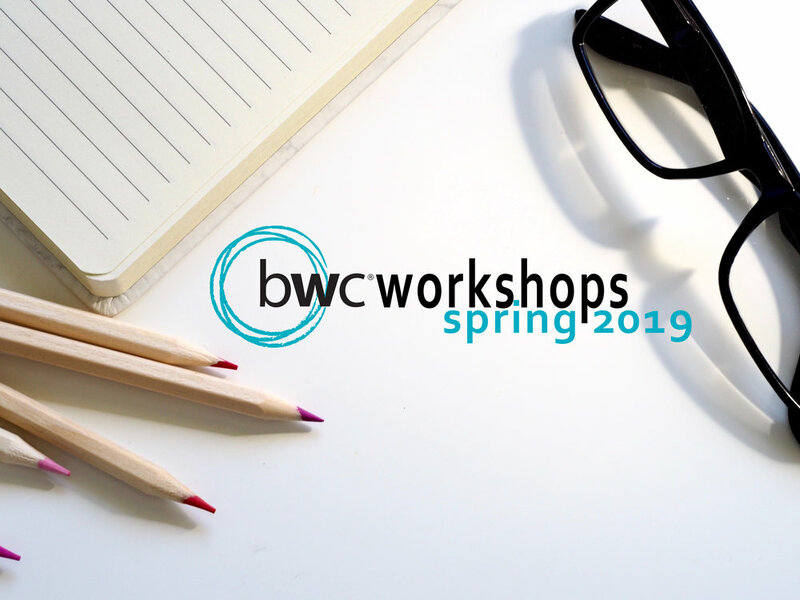 Here are our Spring 2019 Workshops - click on the links to learn more and register. There are still a few additions to come so be sure to check back or sign up for our email list. For: Any business owner or individual with a brand that they’ve worked hard to build. For: Women leaders and business owners who have been working themselves to the bone and are tired of being sick and tired. This workshop is ideal for women who are ready to build their resiliency muscles to find more balance and well-being in their life. For: Anyone impacted by imposter syndrome that wants to master doubt and increase their confidence as a leader or business owner. For: If you work in a high-stress environment, have kids or just want to simplify your life — this presentation is for you. We’ll dive into the science of clutter, why it’s bad for us and simple steps to cut out whatever isn’t serving a positive purpose. For: Entrepreneurs & small business owners; startups & established companies. For: Business leaders cannot afford to turn-off potential clients or colleagues with an off-putting approach. This workshop is for anyone who wants to effectively share their brand value with the influential people they need to reach, expanding their impact and income.